Liverpool is famous for celebrating diverse cultures and history, often hosting the UK’s most vibrant and inclusive public events. 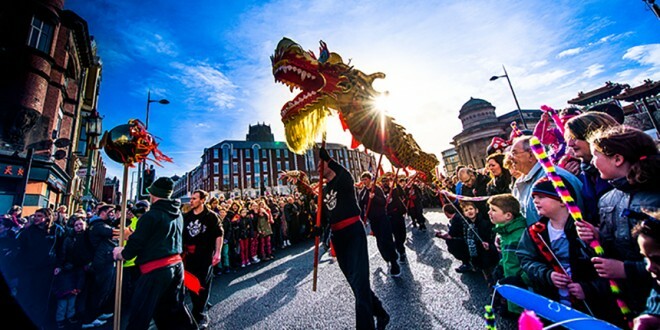 With a thriving Chinese community and popular Chinatown of its own, Liverpool never fails to kick off the Chinese New Year celebrations with floods of creativity and passion. Falling on 28th January, 2017 will welcome the year of the Rooster. There’s no doubt that the city will attract crowds from far and wide to get involved in a huge three-day celebration. You can expect an array of colourful festivities, including popular stalls and atmospheric parades and performances. 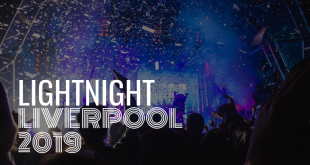 With celebrations starting from Friday 27th January, you won’t want to miss out on all that Liverpool has planned on the days leading up to the main event. Thanks to Liverpool BID, the lead up to Chinese New Year will feature thousands of lanterns illuminating two of the city’s most picturesque areas. You can see Liverpool brought to life by lanterns on Bold Street and Chinatown. Bringing a new, atmospheric excitement to the weekend, crowds can admire spectacular visual projections onto Chinatown’s Chinese Arch. The projections created by Illuminos tell the story of Jingwel and the Ocean, the story of an emperor’s daughter who transforms into a bird after perishing at sea. Filling the ocean with stones and twigs, the emperor’s daughter aims sets out to stop others from coming to the same fate. With such unique and interesting imagery, we’re sure this lumiere creation will be as visually striking as its backdrop. If you’d like to delve deeper into Chinese history and culture in relation to Liverpool, make sure you don’t miss out on the reality trail. Over the course of the weekend, an augmented reality trail will take people on a tour of the most iconic moments of Chinese cultural history in Liverpool. For a glimpse into what this will entail, you can expect the story of football player and manager Frank Soo, with the history of the Chinese sailors who replaced British sailors called up to the navy. 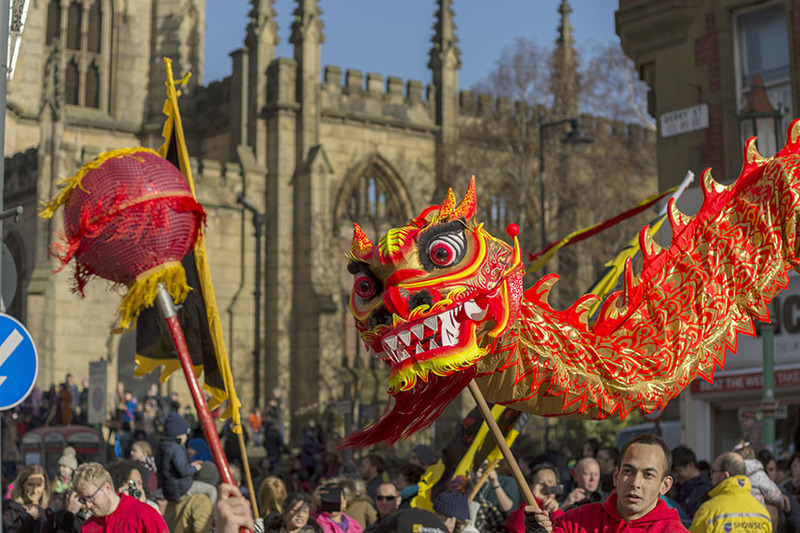 Traditional Chinese New Year celebrations can be enjoyed on Sunday 29th January from 11am, featuring flower drums, street performances, song, dance, martial arts and of course the mesmerising dragon parade associated with goodness and wisdom. Just like previous years, the city’s most famous elements of the celebrations can be expected throughout the day, covering Great George Square, Nelson Square, Berry Street and Great George Street as the prime spots for fantastic stalls and a fluctuation of colour and entertainment. Warm and welcoming as ever, Liverpool’s Merseyside Maritime Museum will be engaging in the celebrations by inviting families to bring children along to paint dragons and oriental pictures on the day itself. This year there will also be a family zone featuring craft making, workshops and even enchanting street theatre with the Black-e Youth Circus Aerial performance. With so much going on for Chinese New Year, the three day celebrations will keep you entertained from the moment you arrive. So, make sure you jot down the key dates and bring the whole family along!